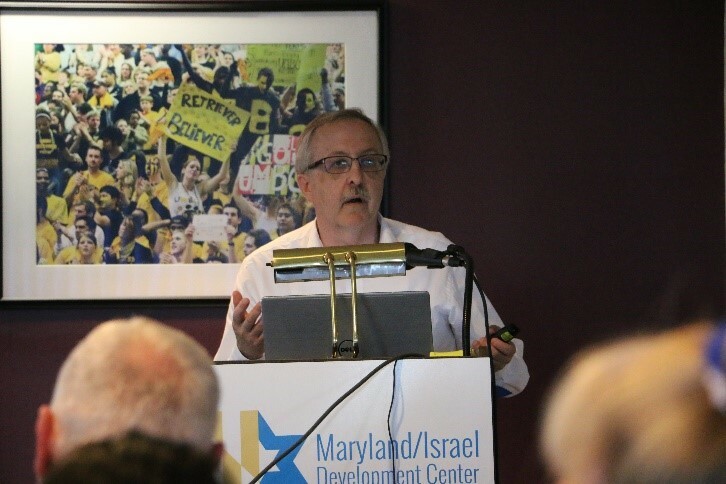 In recognition of Israel’s 70th anniversary, the Maryland/Israel Development Center (MIDC) hosted a series of events throughout the state showcasing Israeli companies with offices in several Maryland counties. The MIDC thanks its co-sponsors: Anne Arundel Economic Development Corporation, Baltimore Chamber of Commerce, Baltimore County Economic & Workforce Development, Frederick County Office of Economic Development, Howard County Economic Development Authority, Maryland Chamber of Commerce, Maryland Tech Council, Montgomery County Economic Development Corporation, and the World Trade Center Institute. Additionally, MIDC’s 2018 Strategic Partners sponsored the series. 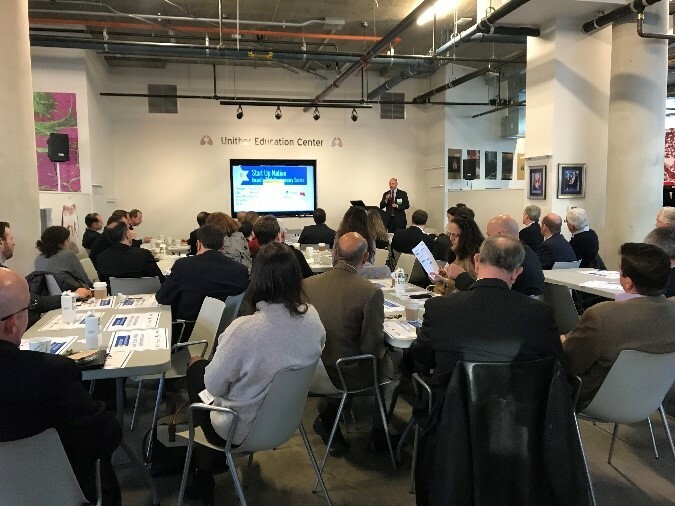 Kicking off the Start Up Nation series was “Taste of Business-Israel” with the World Trade Center Institute in partnership with the MIDC. 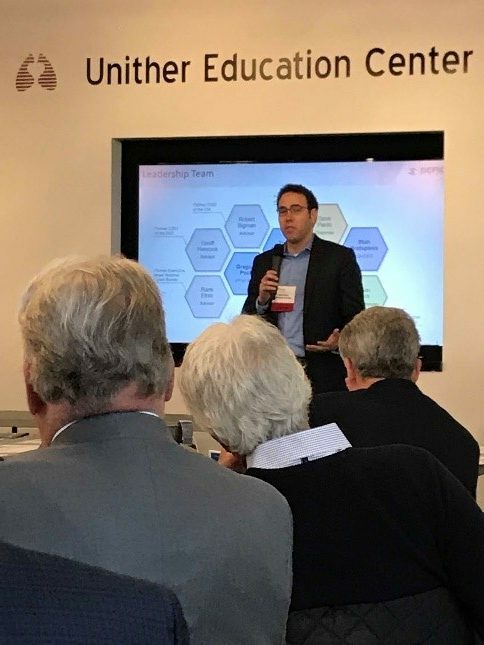 Eran Nitzan, the Embassy of Israel’s Minister of Economic Affairs, and Bruce Spector, CEO, Electronic Technology Associates, addressed the crowd at The Cordish Company’s Spark facility in Baltimore City. 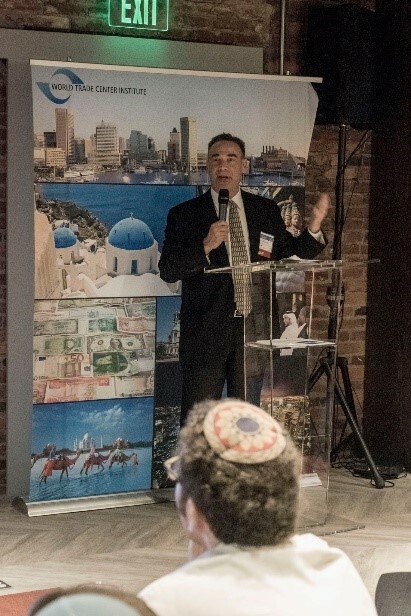 Minister Nitzan spoke about promoting the economic relationship between Israel and the United States, both through the advancement of Israel’s ties to the American government and the international institutions in Washington DC, as well as through the promotion of the Israeli government’s relations with the business sector. 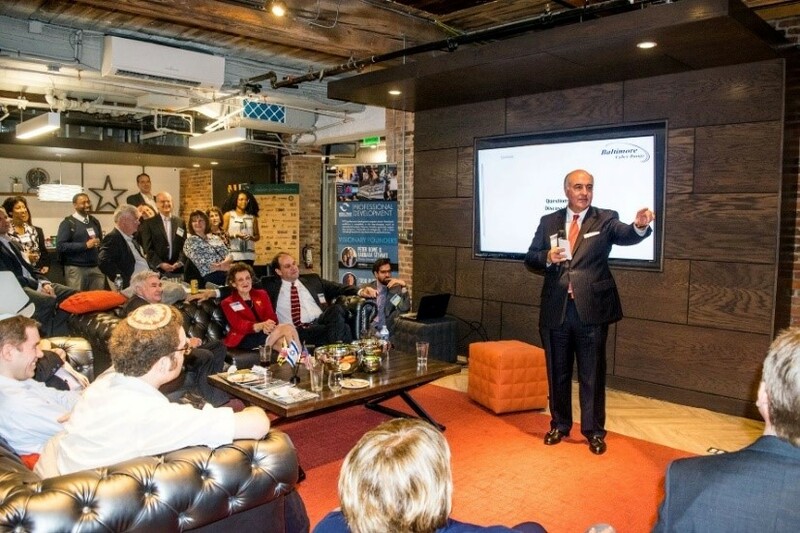 He credited much of Israel’s global success to Israel’s entrepreneurial spirit to programs like incubators and accelerators; engines of growth to kick-start certain industries such as hospitals for medical devices and the military for defense, cyber and IT; as well as a well-trained workforce with experienced managers and executives and private resources like venture capital. 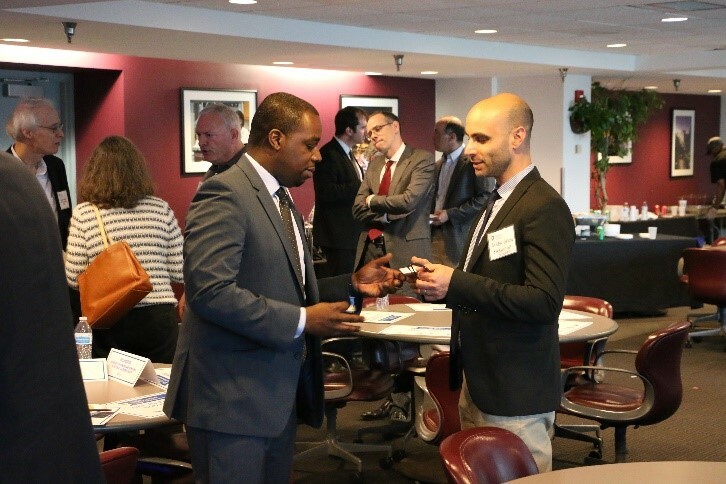 The Baltimore Cyber Range is powered by Israel’s Cyberbit Range Platform, a cybersecurity simulation and training environment that enables security teams to train in realistic settings. This hands-on experience expands cyber professionals’ knowledge base and enhances their skills to keep pace with evolving cyber threats. 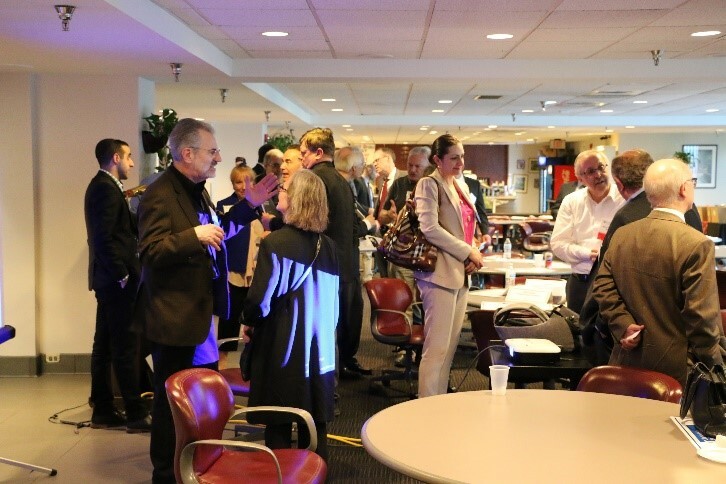 In addition, the training offered through the Baltimore Cyber Range, a joint venture between Cyberbit and Electronic Technology Associates of Baltimore, promotes team building and enables cyber teams to respond more quickly and more effectively to complex and advanced attacks. 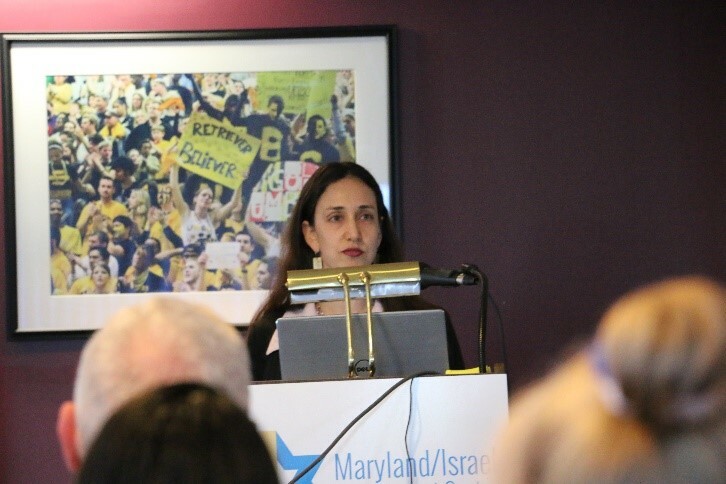 Speaking at both the Montgomery County and Baltimore County events was Yifat Alon Perel, the Embassy of Israel’s Trade and Economic Minister. 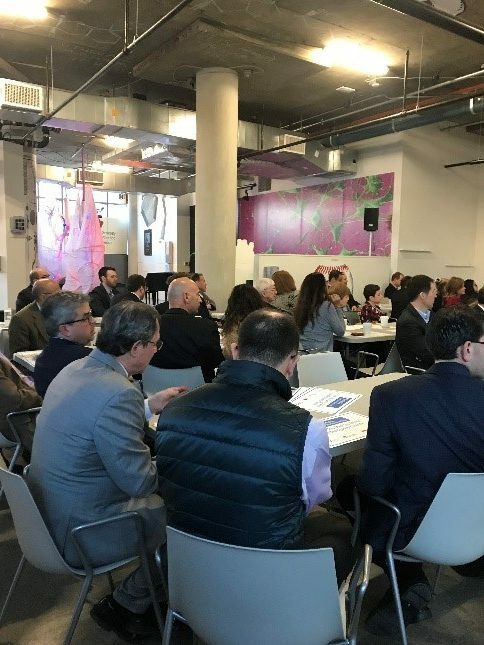 She gave a brief overview of “Israel’s Entrepreneurial Ecosystem” and highlighted that Israel has a significant impact on global innovation and Israeli companies are well connected throughout the world. Israeli’s strong education system provides a pipeline of skilled talents that supports innovative sectors. Israel invests in R&D at one of the highest rates in the world. The military plays a key role in innovation and expansion of technological sectors including health, robotics, cyber security, missile defense systems and drones used both for defense and civil uses (such as precise agriculture). To view a PowerPoint on Israel’s Economy, click here>>>. Lt. 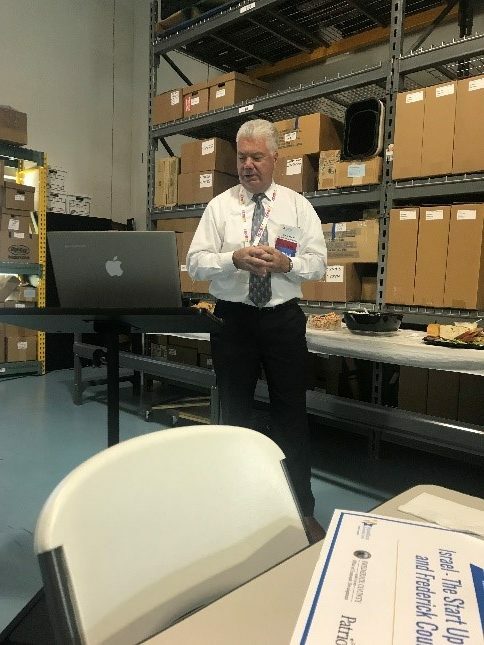 Colonel Pini Brosh, Israeli’s Missile Defense Organization Liaison Officer headlined the Howard County event and shared how Israel’s high-tech prowess led to the groundbreaking missile defense systems, known as Arrow, David Sling and the Iron Dome system. He also discussed how the U.S./Israel partnership that developed the anti-missile systems benefits both Israel and the United States. In addition to the presenting companies the Montgomery County event speakers were James C. Edgemond, Treasurer and Vice President, Strategic Financial Planning, United Therapeutics; David Petr, CEO, Montgomery County Economic Development Corporation; Tami Howie, CEO, Maryland Tech Council; Yifat Alon Perel, Minister for Economic and Trade Affairs, Embassy of Israel and Barry Bogage, Executive Director, MIDC. 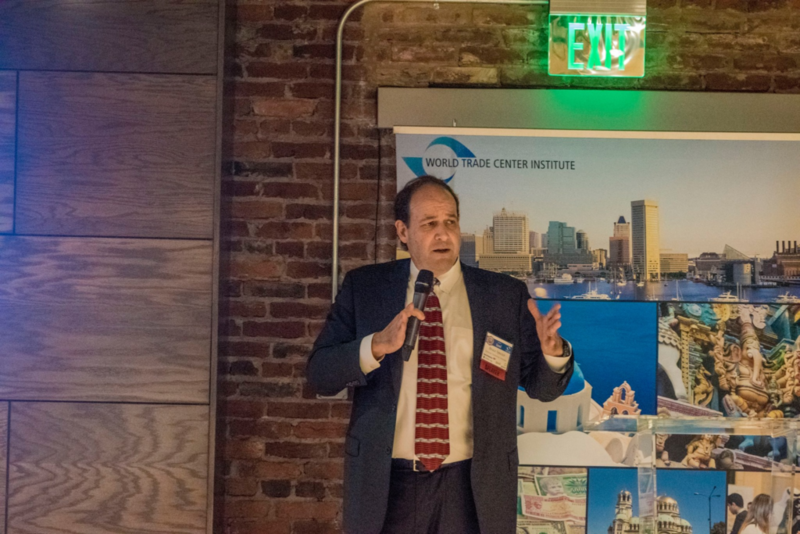 United Therapeutics hosted the event. 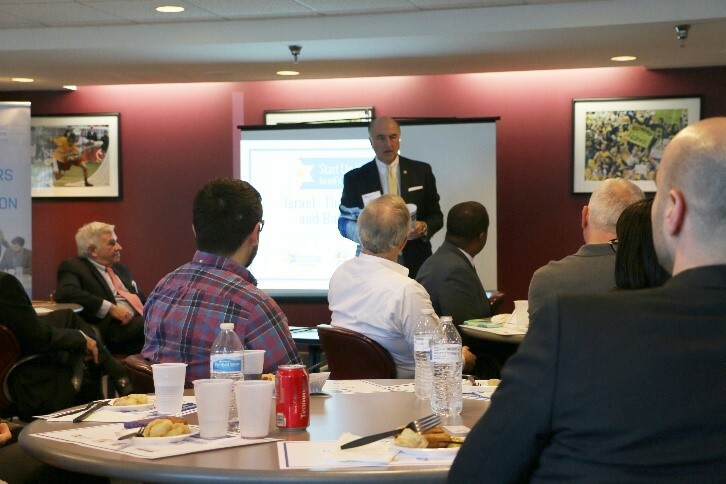 Speakers at the Baltimore County Start Up Nation event were: Mike Gill, Secretary, Maryland Department of Commerce, Yifat Alon Perel, Minister for Economic and Trade Affairs, Embassy of Israel; Will Anderson, Baltimore County’s Executive Director of Economic & Workforce Development; Brent Howard, Director of Membership, Baltimore County Chamber of Commerce; Steve Dubin, Chair MIDC, and Barry Bogage, Executive Director, MIDC. BWTech @ UMBC hosted the event. 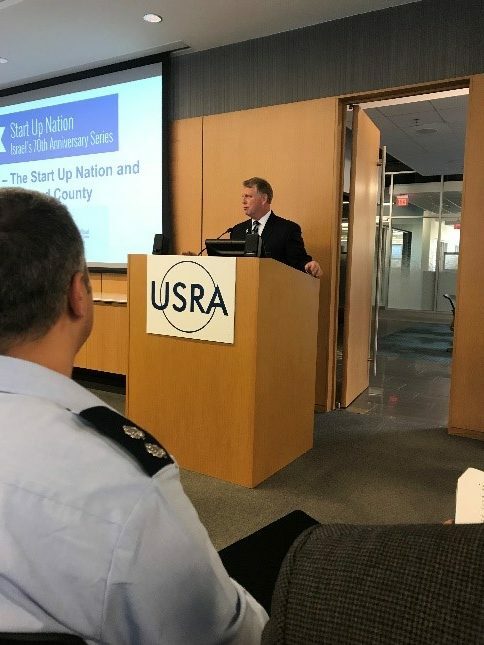 Howard County Executive Allan Kittleman spoke at the Start Up Nation Howard County event along with Vernon Thompson, Deputy Director, Howard County Economic Development Authority; Lt. Col. Pinhas ‘Pini’ Brosh, Missile Defense Liaison Officer, Office of the Ministry of Defense Attaché, Embassy of Israel; Steve Dubin, MIDC Chair, and Barry Bogage, Executive Director, MIDC. 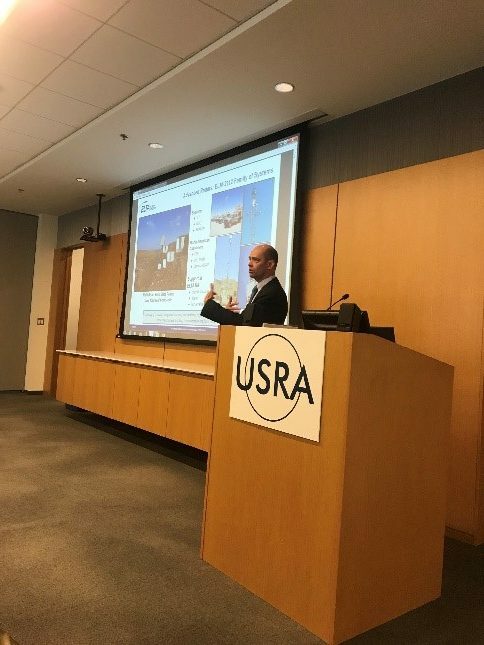 The Universities Space Research Association hosted the event. 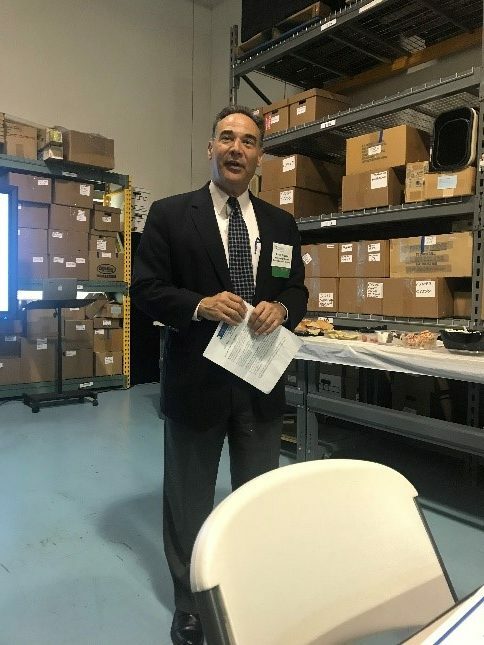 Patriot Technologies President Steve Keefe hosted and spoke at the Frederick County event along with Jodie Bollinger, Business Development Manager, Frederick County Office of Economic Development; Alvin Katz, newly elected Chair, MIDC, and Barry Bogage, Executive Director, MIDC. ELTA North America is a global leader in the design, manufacture and support of innovative electronic systems for the United States government. These proven high-performance systems and a focus on customer satisfaction are the foundations of the company’s commitment to providing solutions to the nation’s warfighters, security personnel and first responders. The company provides solutions in the ground, maritime, airborne and security domains. For more information, click here>>>. Integrated Systems Research Corporation (ISR Corporation)) is a pioneer in the IoT fleet telematics industry and has installed custom fleet management systems for numerous governmental and commercial clients around the world. With ISR FleetTrack®, a cloud-based browser application, real-time GPS tracking, event recording and a new array of safety features allow fleet managers to better utilize resources to save time, fuel, money, and overtime. ISR’s fleet management reports allow managers to see what their fleet vehicles did yesterday, last week, last month or any period you need to review. Ron Smith, National Sales Manager, ISR Corporation presented. For more information about ISR Corporation, click here >>>. 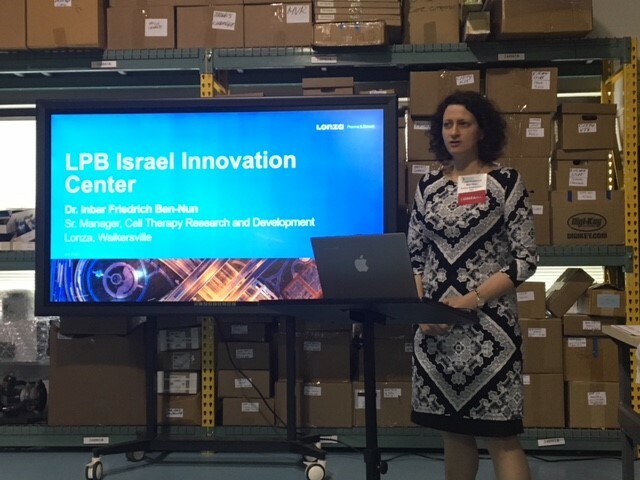 Dr. Inbar Freiderich Ben-Nun, Senior Manager, Cell Therapy Research & Development, Lonza, Walkersville, research and work is devoted to novel technologies and methods to enable the transition from early stage cell therapy production to commercial, viable, life-saving products. She spoke about Lonza’s new research and development Collaborative Innovation Center (CIC) in Haifa, Israel which will be designed to leverage Israel’s scientific strengths in engineering, software and cell/molecular biology. With the launch of the CIC, Lonza aims to accelerate leading research & development (R&D) projects from across Lonza’s pharma & biotech divisions. The CIC will have a dedicated Lonza R&D team in Israel, who will work with local industry and academic experts through collaborations and sponsored research. Lonza’s headquarters is in Basel, Switzerland, and is a global leader in pharma & biotech, boasting over 1,000 trademarks and 14,600 employees worldwide spanning 3 continents with 29 manufacturing plants. For more information go to www.lonza.com. 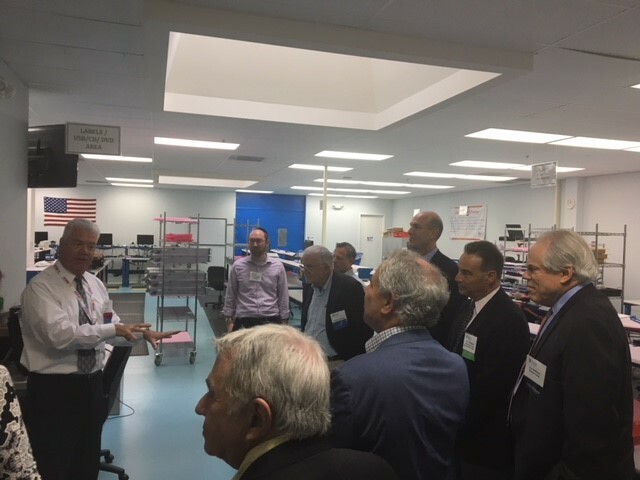 Medispec is the “oldest” Israeli company in Maryland since 1992 and is a market leader in the development of state-of-the-art, non-invasive shock wave and radial wave technologies, offering a safe and reliable alternative to major surgeries. 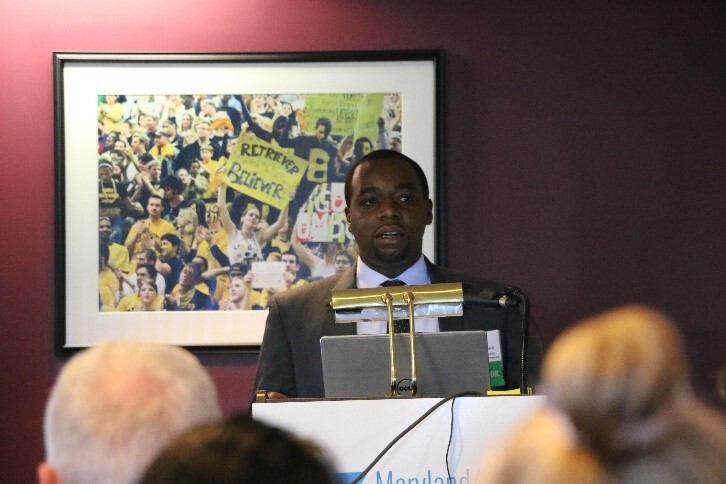 As a leading designer and manufacturer headquartered in Maryland, Medispec specializes in shockwave-based systems for urology, cardiovascular and orthopedic applications. With over 5,000 installations worldwide from governments, universities, hospitals to private institutions spread over 80 countries, Medispec’s business operations extend to nearly all continents including offices in Germany, Japan, Israel and Peru. Partnering with physicians and medical facilities nationwide, Medispec consistently delivers advanced technologies and cost-efficient solutions. Its proficient clinical and service teams promote and ensure a superior experience for patients, physicians and medical facility staff. To learn more about Medispec products and services, click here>>>. Nayax (www.nayax.com) is a global leader in the engineering and manufacturing of cashless devices currently used in hundreds of thousands of unattended machines in over 55 countries around the world. Nayax has over eight international offices including one in Baltimore. 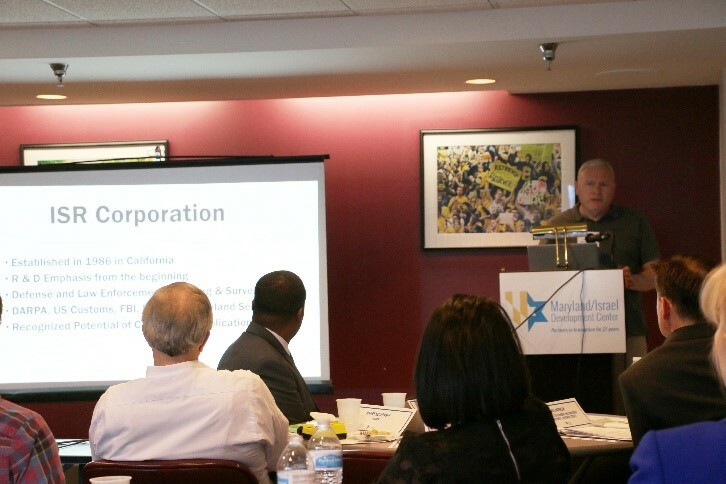 Harry Kozlovsky presented on behalf of Nayax. His presentation can be found here. Real Estate Investors or Professionals – Sometime today in the near future, you will be looking at Electric Vehicle (EV) charging for your properties. Nayax has leveraged its easy open cashless payment device into its EV Meter, with low cost of entry, open and easy payment, and a convenient EV Charging Station that is perfect for apartment complexes, government buildings, parking garages, malls, hospitals, sports venues, movie theaters, restaurants, hotels, supermarkets, country clubs, and more. Non-Profit Board Members/Leadership – Bring in additional donations by meeting potential contributors where they and offering them the easiest, most convenient (and cool) way to make fast donations by clicking here>>> and here. Micro-Markets – Grab and Go alternative to vending machines and click here>>>. For details, contact Harry Kozlovsky, Executive Customer Success Manager, at harry@nayax.com or 410-302-9015. Patriot Technologies is a TS Level Cleared ITAR Registered Facility in Frederick, MD and has been providing solutions for mission and critical applications since 1996. 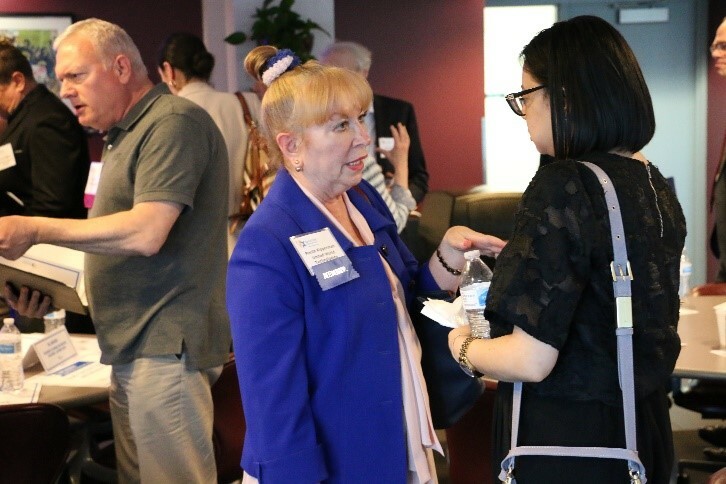 On June 19, 2018, Patriot Technologies hosted “Gateways to Success,” in conjunction with the Frederick county Department of Economic Development featuring Frederick/Israel business opportunities and grants for R&D collaboration. 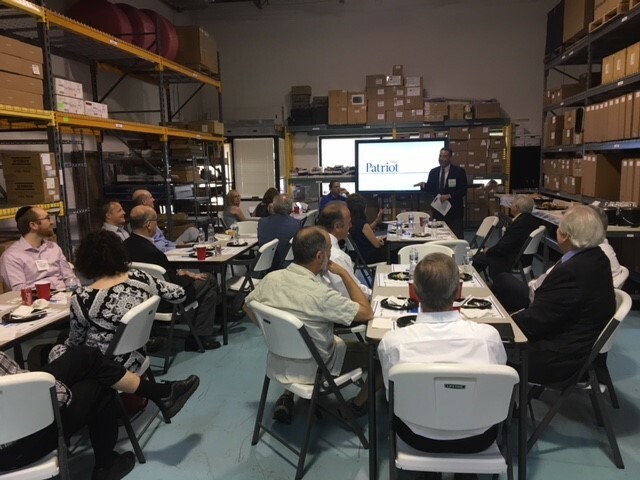 Patriot President and CEO Steve Keefe discussed business opportunities working with Israeli companies having done business in Israel for over 15 years. Patriot Technologies has over 22 years of experience in creating solutions for military, defense and intelligence programs to assist US and foreign initiatives. Patriot continues to apply its expertise and creativity for innovative cyber security solutions to support a wide variety of mission goals with special expertise in mobility and public safety for emergency personal and first responders, linking EMS vehicles and ground personnel with in-building public safety agency frequencies. Patriot brings decades of wireless product design and systems experience including the design, installation and commissioning of complex mobile systems for homeland security, emergency personnel services, as well as cellular and PCS communication networks. Sepio Systems is a pioneer in securing organizations against attacks via rogue hardware devices. Strategic cyber weapon technology has been leaked. Now, this technology is currently in the hands of criminal organizations that are using it against civilian commercial targets with no defenses against it. These enterprises never suspect that the seemingly legitimate devices they are using have been compromised, allowing access to key assets—often over long periods of time. The Sepio security suite detects infected peripherals or altered and malicious device behavior, isolates the attack and triggers alerts, stopping the rogue hardware before it can jeopardize normal operations. Founded by cyber security experts from private industry and government agencies, Sepio Systems is the first security solution on the market that identifies and blocks malicious hardware devices before they cause harm. Sepio Systems is headquartered in Maryland, with offices in New York and South Carolina. The Research and Development Center in based Tel-Aviv, Israel. 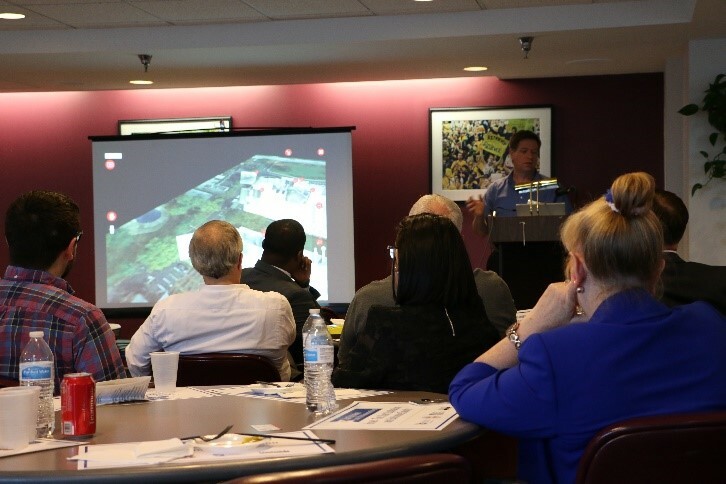 Sepio Systems’s presenter was Greg Poch, Vice President, Sales. For more information go to www.sepio.systems. Sesame Enable is the newest Israeli company in Maryland. Sesame Enable was founded by and for people with disabilities, with one mission in mind, to provide a bridge between people’s physical abilities and access to the mobile revolution. Sesame Enable provides touch-free access to “smart” devices for people with limited to no use of their hands. Shai Eilat, head of US operations, was the presenter. To view Sesame Enable’s presentation, click here >>>and for a one sheet summary of Sesame Enable, click here>>>. For more information on Sesame Enable, go to www. sesame-enable.com. VAYA™ focuses on developing drug-free, clinically-validated products for the dietary management of disorders that are associated with lipid imbalances in the brain, such as Attention Deficit and Hyperactivity Disorder (ADHD) and Early Memory Impairment (EMI). VAYA’s products deliver nutritionally-based solutions that have been shown through robust clinical trials to be safe and effective. VAYA’s innovative products address the lipid nutritional needs of people with health conditions that cannot be met through modification of diet alone. To read more about Vayarin click here>>>; to learn about Vayarin Plus click here>>> and for Vayacog click here>>>. 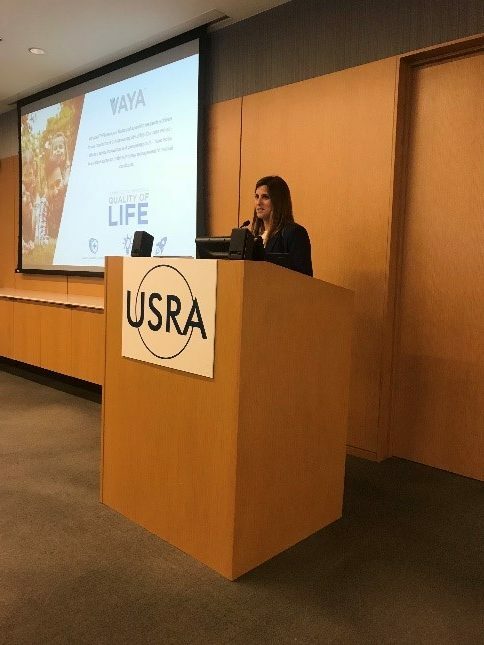 Michelle Cuccia, CEO of VAYA presented. For more information go to www.vayapharma.com.